Machado Construction offers full-service asphalt paving and surface repair of the highest quality, with a commitment to competitive pricing, fast completion, and flexibility in our operations to meet your unique project requirements. Machado Construction is prequalified to pave in Baltimore City, Baltimore County, Howard County and any other commercial or private project. With over three decades of experience, Machado Construction is a trusted partner to top construction firms throughout the Baltimore metropolitan region. We’ve earned a reputation for reliability and flexibility in our partnerships. If there’s a way for us to make your project more cost-effective, you can count on us to do what we can to deliver what you need. In addition, Machado’s concrete supply, recycling, and trucking and hauling divisions allow us to partner with you on a project from start to finish. 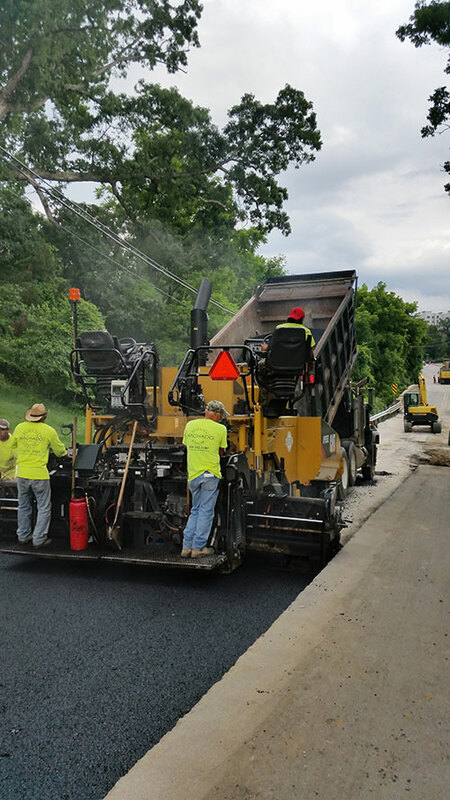 Following a major water line break in Cockeysville, Maryland, Machado Construction Company, Inc. was called upon to perform emergency asphalt paving. 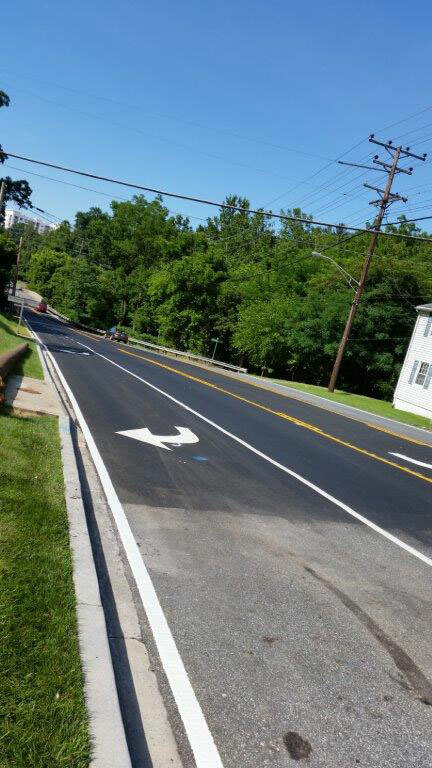 We were able to quickly and efficiently complete the surface repair according to specifications, and return York Road, a major thoroughfare in the region, to full operation in a timely manner. The emergency asphalt paving project called for 6″ of a graded aggregate base (GAB), which was installed for the road bed followed by 511 tons of 19.0mm, PG 64S-22 Level 2 Base, installed in two 4″ lifts. Additionally, Machado tacked and installed 233 tons of 12.5 mm, PG 64S-22, Level 2 surface, in one 2″ lift.. Thermoplastic pavement markings were also installed for traffic control. Due to the urgency of opening York Road to traffic, Machado had to manipulate their schedule and have crews out there on a Friday and complete paving by Saturday.